By 2010, the worldwide video game market should grow to $46.5 billion, at an average 11.4% compound annual rate, global consultancy PricewaterhouseCoopers predicts. PricewaterhouseCoopers' media outlook report forecasts major growth for the video game sector worldwide. That compares with the filmed entertainment business, which PwC estimates will grow at a 5.3% compound annual rate, to become a $104 billion market by 2010, or the television networks business expected to grow at a 6.6% rate to $227 billion. The estimated $8.4 billion U.S. video game market of 2005 likely will grow at a slower clip than other sectors, at 8.9%, to hit $13 billion in 2010, lagging Asia Pacific and the combined region of Europe, the Middle East and Africa (EMEA), according to PwC's "Global Entertainment and Media Outlook: 2006-2010." Asia Pacific should hold its leadership position in terms of overall spending on games. Despite its existing magnitude, the region should grow even faster than the U.S. for the same period, PwC reports, bringing a $9.8 billion market in 2005 to $17.4 billion by 2010, a 12.3% compound annual increase. · US computer and video game software ONLY sales grew six percent in 2006 to $7.4 billion – almost tripling industry software sales since 1996. 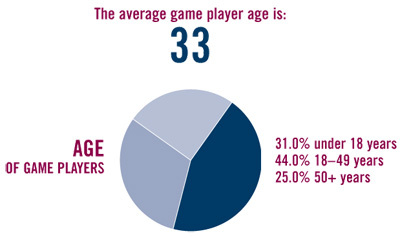 · The average game player is 33 years old and has been playing games for 12 years. · Thirty-five percent of American parents say they play computer and video games. Further, 80 percent of gamer parents say they play video games with their kids. Sixty-six percent feel that playing games has brought their families closer together. · Thirty-eight percent of all game players are women. In fact, women over the age of 18 represent a significantly greater portion of the game-playing population (30%) than boys age 17 or younger (23%). Via CEO of Breakaway Ltd, Douglas Whatley, speech at a meeting in Washington, D.C. 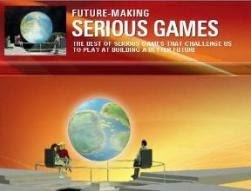 The development of the serious games space is dependant on several efforts, such as advances in design, pedagogy, and technology. Early adopters have focused heavily on these elements and sparingly on business development models and advancements, partially because the predominant model in serious games has been work-for-hire. As the field grows, however, it experiences a wider variety in business models as developers seek to find ways to make the market work for them, which implies new ways of doing business, raising capital, distributing, and selling product. The "serious games" market will not be as easily formed as the commercial games market was. The market is much more B2B (business-to-business) oriented, where the majority of projects are "work-for-hire" or single-use efforts like those seen in traditional business software industries. Unlike B2C (individual consumers), organizations are slower moving when adopting new paradigms. - Shaping "Serious Games" from a movement into a viable and growing market, thus attracting needed investment. - Providing easier means for customers to find producers and to lower the transaction costs which are still very high for such projects. - Identifying and promoting the comparative strengths of games and the industry to non-industry groups. - Heralding distinct business cases that will encourage more corporate investment in games. EMEA will lead the globe in terms of video game growth at a 13% compound annual rate through 2010 reaching a $13.9 billion market size, up from $7.6 billion last year. The only market that the U.S. likely will outpace in terms of industry growth, including Canada, is Latin America -- today a fledgling market for video games at $531 million, but expected to reach $835 million by 2010 -- set for a 9.5% compound annual gain. In terms of game categories, which include console and hand-held, online, wireless, and PC games, in the U.S. PwC expects wireless to grow the fastest -- 28.6% -- ballooning from a $646 million market last year to $2.3 billion by 2010. That would be more than triple the rate for the overall video game market in the country. In the Asia Pacific market, wireless and online games are expected to grow at about the same rate (23% compounded annually) with online games reaching $4.4 billion and wireless reaching $4.2 billion by 2010. The lack of cost-effective software protection techniques coupled with the availability of peer to peer technology and high bandwidth Internet connections leaves the consumer software industry extremely vulnerable. This state is reflected by a piracy rate of about 90%. According the IDC, the video games market size was about $26.3 billion in 2005. Surveys show that appropriate protection might yield a 125% increase in revenues for the video games industry. The bottom line (profits) of the video games industry should increase by a larger factor due to various constant expenses that do not increase linearly with sales. Taking the above into account, best estimate for the worldwide video game market would rise to $58 bi by 2010. 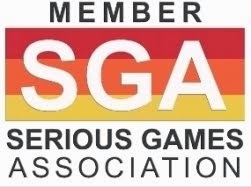 This is a conservative estimate: the "Serious Game Market" would be ranging between $150 - 200 million per year, which is enough for a lot of modestly priced game productions. For a long time the healthcare market recognized the value of using interactive training mechanisms, but has historically focused on hardware simulators. The excessive costs of maintaining these solutions, and the limited access to students they provide is stating to prove a huge bottleneck. 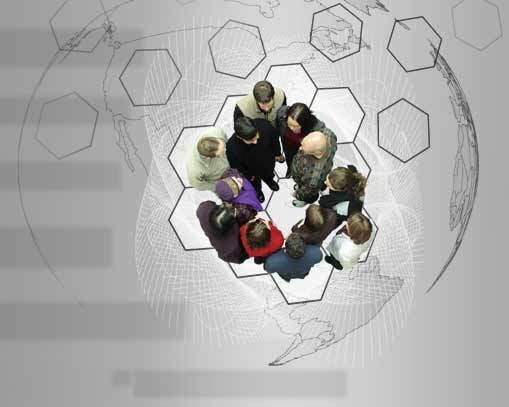 As the market searches for solutions, more and more institutions are embracing software simulations. Healthcare training market could make available additional $ 400 million, bringing the overall figure for the "Serious Game Market" close to $ 1 billion shortly. The impressive figure, however, stands for the "Serious Game Target Market" worldwide, as we put together the estimated budgets for Government Training and Simulations, US Army Training, Corporate Learning, eLearning, Business Analytics, and US Textbook Markets to the value of $ 155 billion in Mo.O.D. 2004.